Tick-borne infections are zoonotic—meaning they are passed from animals to humans. “Vectors” like ticks, mosquitos and fleas transmit the diseases from animals like mice, rats, and squirrels to humans when they bite. Ticks can carry many bacteria, viruses, fungi and protozoans all at the same time and transmit them in a single bite. The most common tick-borne diseases in the United States include Lyme disease, babesiosis, anaplasmosis, ehrlichiosis, relapsing fever, tularemia, Rocky Mountain spotted fever (RMSF). Diseases acquired together like this are called co-infections. 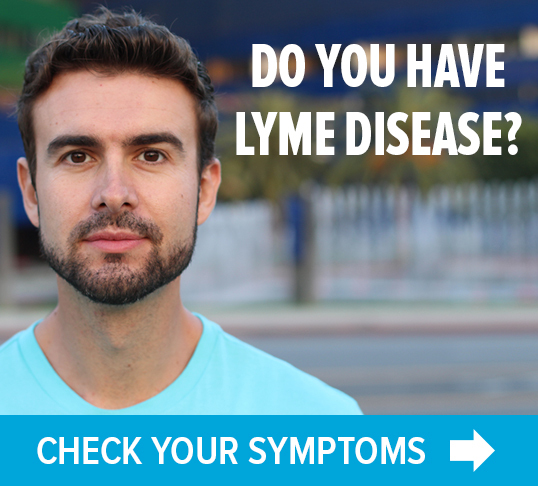 Click below to learn more about specific Lyme disease co-infections. A person with a Lyme disease co-infection generally experiences more severe illness, more symptoms, and a longer recovery. A person with a co-infection generally experiences more severe illness, more symptoms, and a longer recovery. The CDC recommends that physicians consider possible co-infection with babesia or anaplasma when patients have more severe symptoms of Lyme disease. However, other co-infections may be present as well. Since Lyme disease was first identified in 1981, researchers have found more than 15 tick-borne pathogens that weren’t known before. New ones are still being discovered. In 2011, Borrelia miyamotoi was identified as a cause of disease and recently recognized by the CDC in the United States. Commercial tests are not available for all tick-borne diseases, including infection with B. miyamotoi or Powassan virus. LYME SCI: Tick-borne co-infections are the rule, not the exception. While Lyme disease is the fastest growing vector-borne disease in the United States, many other bacteria, parasites and viruses can also be transmitted by ticks. These are generally referred to as “co-infections” of Lyme disase. 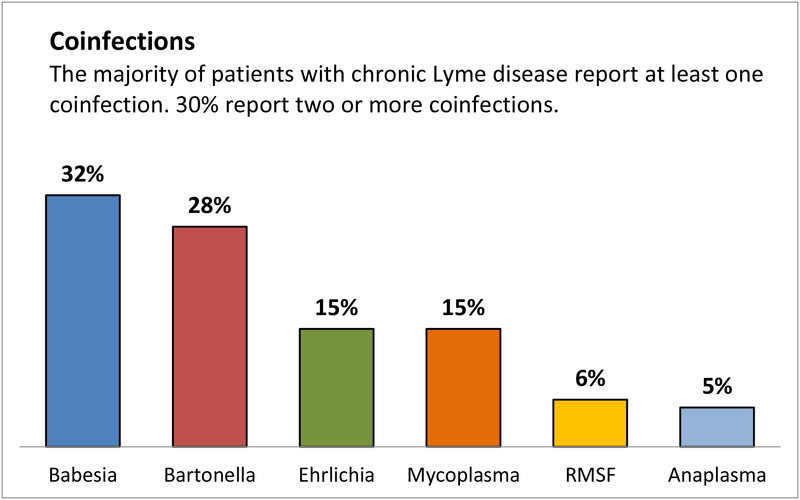 More than half of those with chronic Lyme disease have at least one co-infection. 30% have 2 or more. We asked over 3,000 chronic Lyme patients whether they had co-infections that were confirmed by laboratory tests. It turns out that co-infections are the norm. Laboratory confirmed co-infections were reported by 53% of respondents and 30% reported two or more co-infections.